I am having problem setting the height of my print sticker. So I need to manually adjust the sticker after every 10-20 records as it keeps getting higher until out of frame. The printer I use is TSC TTP 345. The actual size of my sticker is width 79mm height 15mm as shown below. 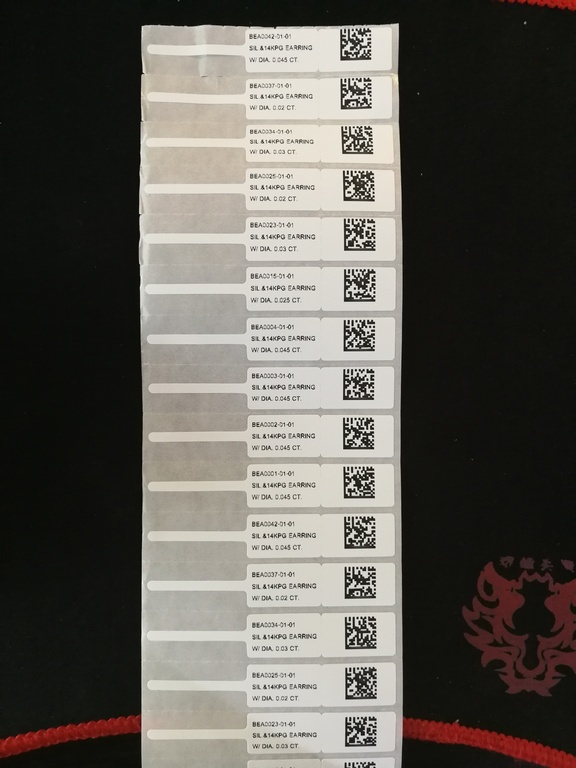 However, after I load the printer value to the Barcode program, it become 15.06mm and changing this value to 15mm or 14mm has no impact on the print output. Moreover the height of the sticker in the Label Property is 1.498cm and I cannot change it to 1.5cm or 1.506cm to match the value of the printer value above. I tried changing the unit from mm to inches and the print value is change to 0.593 inches but height in Label Property is 0.59 inches (cannot be changed to 0.593 inches) and print result is the same. We will add the issue to our Issues Report and investigate it for the next software release. 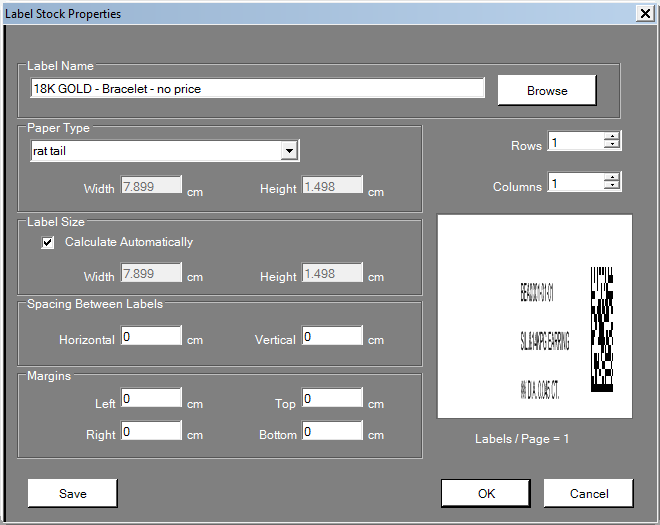 An alternative is to try Niceware's Nice Label Software. I have reset the printer but it still does not help. I don't think it is something wrong with the printer driver either as I am using it to print other thing before without any problem. I think the problem is the Barcode program is doing the unnecessary conversion from mm to inch and back to cm again. The first picture show printer driver with setting of 79mm width and 15mm height. 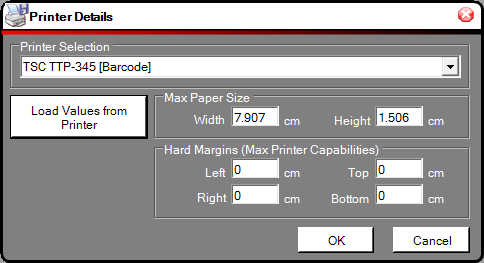 The Barcode program should just take that number or just convert from mm to cm instead of convert it to inch then to cm which give inaccurate result for printer value of 1.506 cm and Label Property of 1.498 cm. So both value of 0.593 inches and 0.59 inches does not represent the true 15mm and this slowly mess up my sticker print as shown in the first post. Ben Unfortunately, we are not able to test this specific set up. You could try resetting the printer to see if it makes a difference. Ben Thanks for your patience; we will be reviewing the issue shortly.